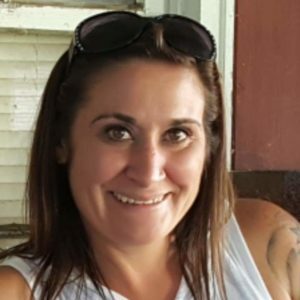 Brooke Michelle (Baker) Hall, 36, of Springfield, formerly of Lincoln, passed away January 30, 2019. Visitation will be from 5-7 PM Tuesday, February 5, 2019 at Holland Barry & Bennett Funeral Home, Lincoln. Funeral services to follow at 7PM. Cremation rites will then be accorded. There will be no burial at this time. Brooke was born June 2, 1982 in Lincoln, the daughter of Steven and Marcella (Boyer) Baker. She married Jerry “Hippie” Hall. He preceded her in death. She enjoyed drawing, music, and loved her cat, Lilly. Surviving are her parents: Steven Baker and Marcella Baker; grandmothers Lois Boyer and Cheryl Baker; children: Ashlyn Boyer, Keegin Osland, Kadin Osland, and Autum Osland; step children: Tabatha Hall, Tad Hall, and Autumn Murrell; several step grandchildren; brother Eric (Teresa) Baker and sister Michelle Baker. She was preceded in death by her grandparents John Boyer, Margaret and Virgil “Red” Langenbahn, Donald G. Baker, and her husband. 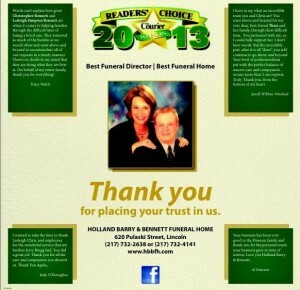 Memorial donations may be made to Holland Barry & Bennett Funeral Home to assist with expenses.